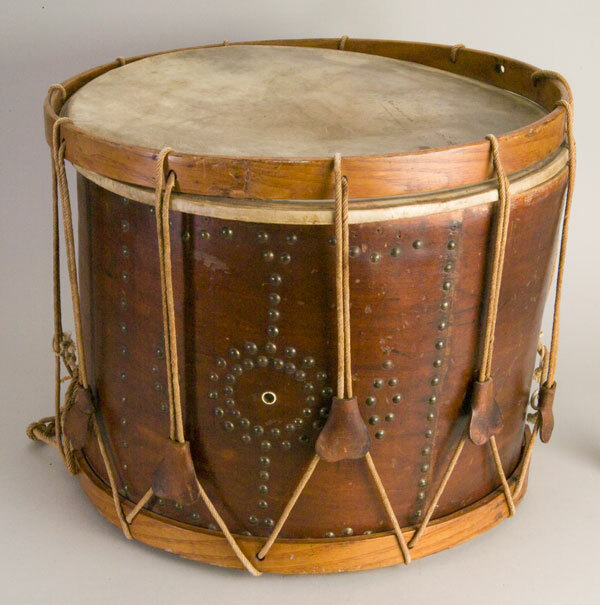 Musicians, particularly drummers, played a crucial role during the Civil War. They helped raise troop morale. Drummer boys woke the troops, called them to meals, and on the battlefield, tapped out rhythms to help units stay together. Orion Howe, a 14-year old musician served with the 55th Illinois Infantry at Vicksburg. He played both drum and fife. The Howe family carried these fifes, and Orion played a drum similar to this, during the 47-day Siege of Vicksburg. During the Vicksburg Campaign, Howe's unit came under fire at the battle of Stockade Redan. His unit was running low on cartridges. Young Howe was ordered to make his way to the supply wagon and secure more cartridges. Dodging gunfire, Orion was struck by a minié ball that severely wounded his thigh. This didn't stop him from trying to fulfill his orders. Major William T. Sherman told the bleeding young boy to seek medical treatment. Howe refused to leave until Sherman promised that he would get the desperately needed cartridges to his unit. Only then, did Howe leave the battlefield to have his leg tended. For his bravery, Orion received the Medal of Honor, America's highest military award. To date, he is the youngest recipient of this award. 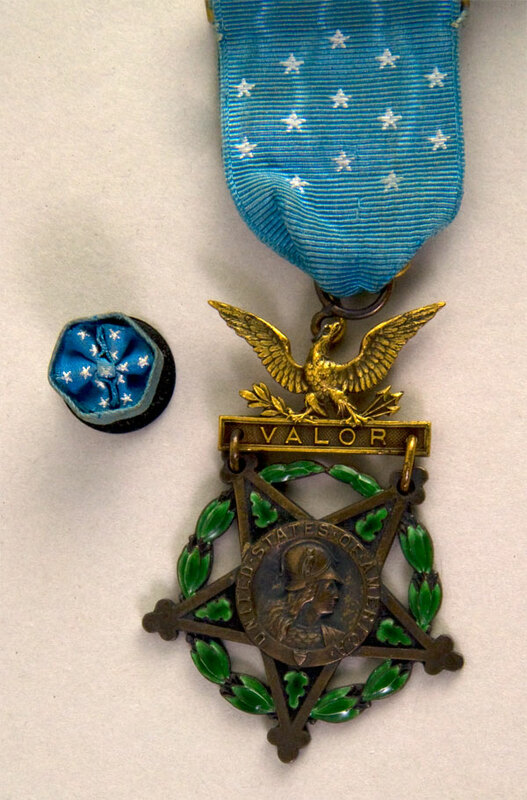 Medal of honor, 1904 design. On the back is inscribed ,” Color Sergt. Henry H. Taylor, Co. C, 45th Illinois Infantry Volunteers. Vicksburg, June 25, 1863.” Although this particular medal was not Howe’s, Howe received one like it for his bravery during the Siege. The significance of the medal being placed with the musical instruments was that Howe had served with the 55th Illinois Infantry at Vicksburg and played both drum and fife.